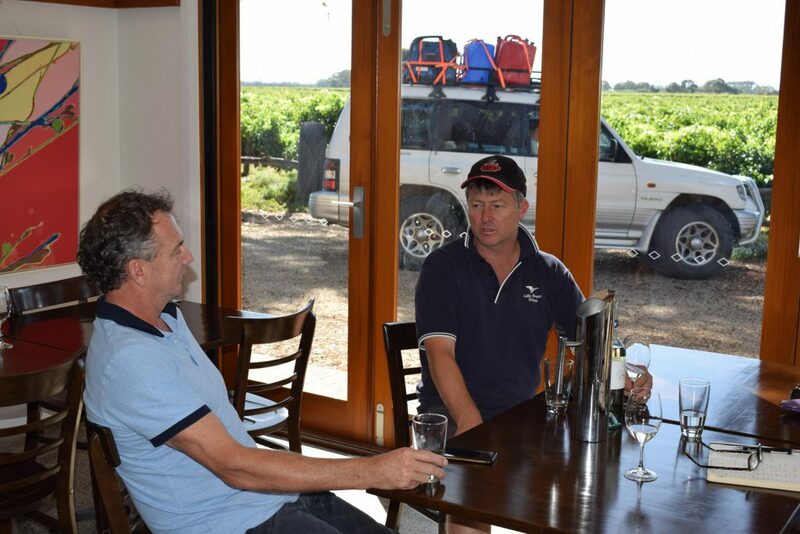 And so back to Langhorne Creek to see Greg Follet of Lake Breeze. 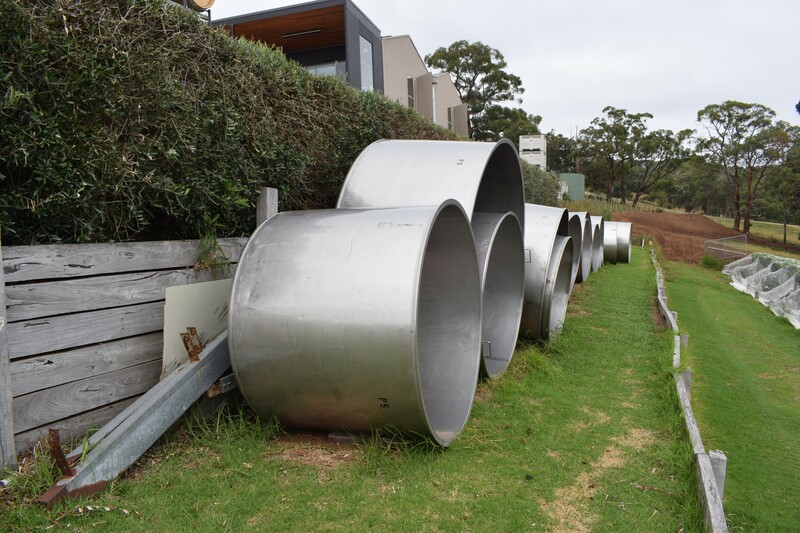 The transition from Adelaide Hills’ steep and winding lanes to Langhorne Creek’s one long flat arterial road takes me by surprise for the second time in as many days. It is difficult to keep your eyes on the road as they wander to each side of it to marvel at the lush emerald canopies stretching out in regimental rows towards the majestic red gum trees. . This has always been an important grape-growing region but until recently most growers sold all of their fruit. 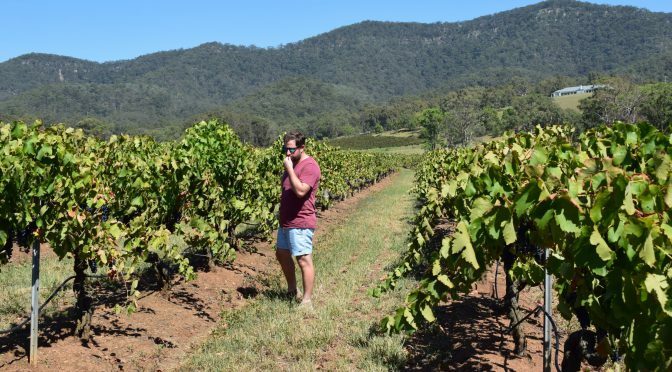 But now, a handful of producers such as Lake Breeze are showing just what good wines – and what good-value wines – can be made, helped by the recent growth of the vineyard area from around 400 hectares to around 6,000 hectares. 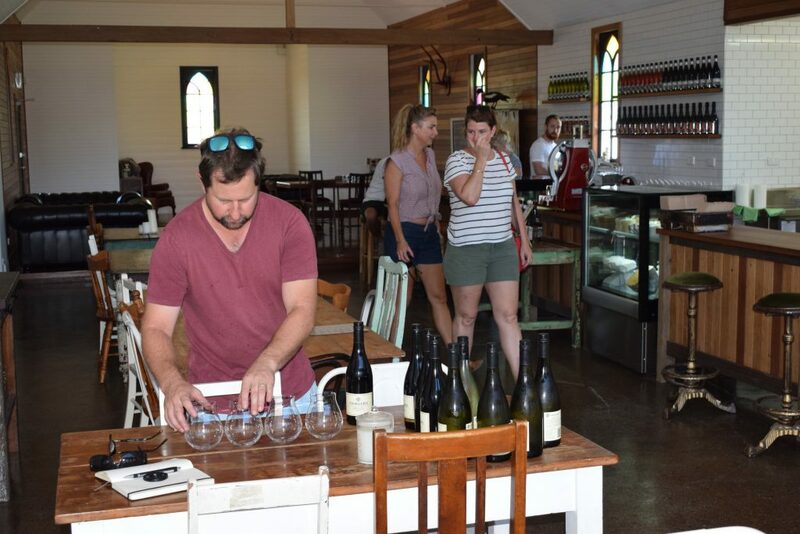 Greg’s family have been grape growers since the 1880s and winemaking since 1987, he tells me, as he and his brother Roger, as down-to-earth and as friendly a pair as I have come across in the trade, sit down in the lovely but simple Cellar Door for a chat. 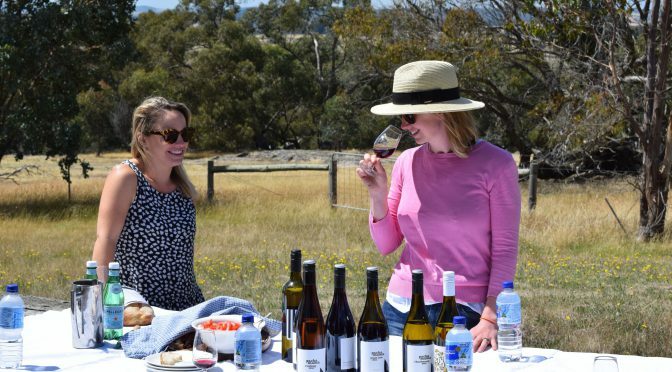 Their modesty is especially striking when you consider the extraordinary level of success they have had in Australian Wine Shows, including 40 trophies and over 140 gold medals since 1994. 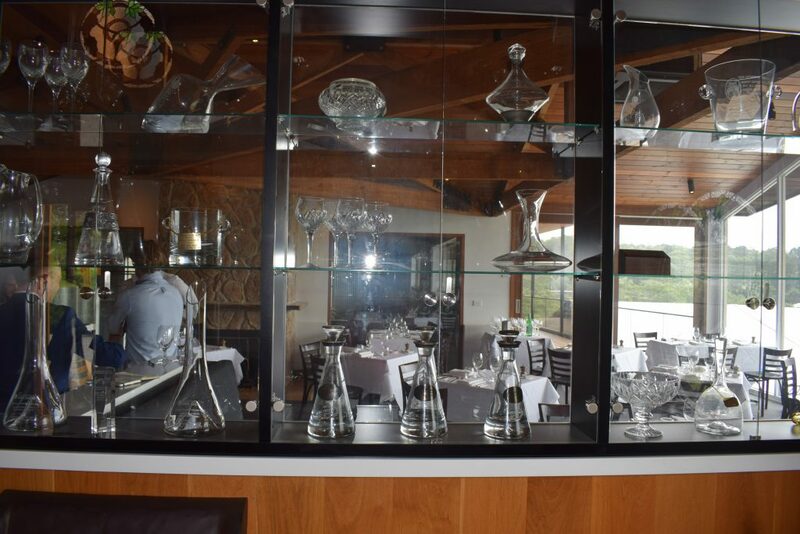 Undeniably, Lake Breeze is one of Australia’s most awarded boutique wineries, including being named Australia’s Champion Small Winery at the Australian Small Winemakers Show, and twice winning the Best Red Wine of the Adelaide Wine Show – the Max Schubert Trophy. I am then introduced to their sprightly father, Ken, who has the same friendly demeanour as his sons. I feel oddly privileged and humbled, and tell him he must be proud of his family. I also get to meet Greg’s wife, Robyn, and the following day, when I phone with a query, I get put through to Dionne Follett, who is so apologetic that she missed me on my visit that I very nearly turn around to drive back and present myself. The winery, designed by Greg, was built in 1998. It houses small open top fermenters which enables him to focus on a traditional style of winemaking. He takes me on a quick tour, but keeps glancing anxiously at his mobile press, on its tramlines at the door, ready and waiting to receive the grapes which he will harvest at around nine-thirty that evening. Back in the tasting room, we run through the wines. A lovely rich toasty full nose. This goes straight into barrel and it is very evident. Funky damson flavours and loads of open fruit. I like this a lot, but then I tend to like all old vine Grenache. A gamey and meaty aroma, and masses of leafy fruit. Excellent dark raspberry fruit, with a plushness on the palate and a lovely crisp finish. The 2012 vintage was named Australia’s Wine of the Year by Winestate. 10 to 12 months in seasoned oak, shows delicious soft sherberty fruits, is soft and supply, with luscious tannins. There was no wine made in 2015, but the 2016, about to be bottled in June, shows rasping good berry fruit with great mouthfeel. It has been a great tasting and these are salt of the earth people. As I drive back along that straight, straight, straight road, I think: Langhorne Creek – The Undiscovered Country. They were right – but more of that later. I am here to meet with Marty Edwards, son of the founder John Edwards, and his winemaker Michael Schreurs. 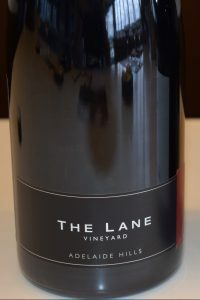 Because not only is this an amazing restaurant, it is also a brilliant winery, making a couple of exceptional brands: The Lane and our little number, Ravenswood Lane. 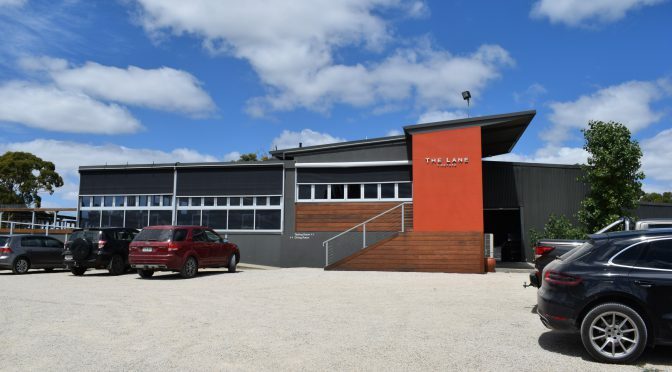 In a few short years (the property was bought in 1992, but they have concentrated on their own brands only since 2005) they have become the number one Adelaide Hills brand in South Australia and the number one Adelaide Hills on premise brand in the whole of Australia. 100% stainless steel fermented, 10% of Semillon added. Ultimate cool climate fruit. Classic nose, old style sauvignon blanc. The semillon is very evident and provides the acid backbone and complexity and the sauvignon blanc provides the fruit. Marty says: “This is Sauvignon Blanc for grown-ups” He is right: this is grassy, wild, a bit funky, with a deal of structure. This is the wine which defines The Lane. Barrel fermented, 85% stainless steel fermented, 15% fermented in various age French barrels. Absolutely gorgeous fruit, serious lemon nose, a touch of quince. Supremely balanced. 500 cases made. Hand-picked, whole bunch barrel pressed, 100% in French oak, 30% of which is new. As we move through the line-up, what strikes me is that these are really linear wines. 100 cases for the year. These barrels are specially coopered for them, by a French cooper, following a visit that John Edwards made to France and saw the kind of barrels the top French vignerons were using. This has got a delicate lanolin and citrus nose, a hint of biscuit. Serious, very serious. Gorgeous mouthfeel, absolutely pristine, rich dark plums. I immediately think of Guigal. This comes from the highest block they own. You immediately feel more concentration, richness Christmassy kind of feel. A tough dusty on the finish, probably due to newness. Marty explains: “This shiraz is all north facing, we undertake lots of green harvesting, we’re looking for extreme concentration. So within a short time, Marty has described for me a sauvignon blanc for grown-ups, a rubber band wine and grandma’s handbag wine. He should be on stage, this bloke! This is made from the Cabernet in front of the restaurant. This has long maceration, which is evident in the heady and unctuous mouthfeel, but there is an elegance at work, too. Michael explains that everything is harvested into half-tonne baskets. He doesn’t crush anything to avoid getting phenolics from the skin (how many times have I heard this on my trip around Australia.) All the whites are tank pressed, all the reds are basket pressed and they use whole bunch pressing. The winery is extremely efficient – most of the work is done by just three people. Then Michael shows me his pride and joy: two fermenters, one, a Rieger, one-tonne, squat and four-square, and one elegant and with dainty legs, a Lejeune, a five tonner. One comes from Germany and one comes from France. “You can guess which is which,” he says. From tank we taste a 2016 Pinot Gris, which tastes as if it has some residual sugar, but Michael tells me that is not the case, but that they will add a touch of acid before bottling. A 2016 Sauvignon Blanc has delicious, rich, open fruit, and is soft and just a touch sweet. Michael explains: “Sauvignon Blanc is a grape that will go with anything you like.” A 2016 Shiraz has a nutty nose, while a Cabernet has a faint aroma of bacon fat, which may be because of new barrels. With me licking my lips and aching to get stuck in, we repair to the restaurant, where I decide I would like to eat everything, but eventually plump for lamb’s brains and red snapper. Both are utterly delicious. During our meal Katie MacAulay comes over to say hello. She used to work for Steve Daniel at Oddbins ages ago and asks how he is. Life must be good here, I say, and she nods and smiles widely. Driving back, I am struck by this region. 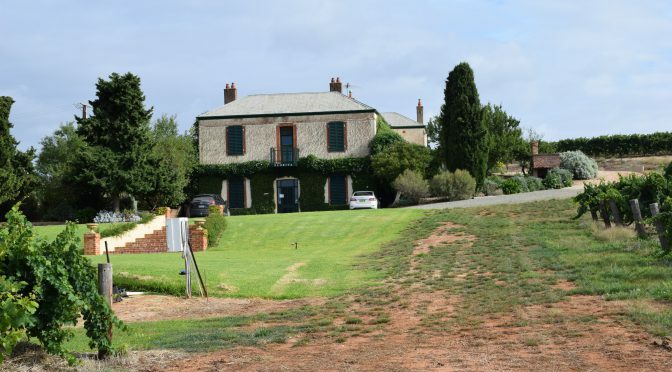 The Hills have positioned themselves as the Beautiful Place, the Beverly Hills of South Australia – and there is a definite buzz. As there is with the whole of Adelaide, I think. The last time I was here it was still a beautiful old-fashioned rather sleepy town with lots of impressive Victorian buildings and with a sedate pace about it – famously, the city of churches. But like the Adelaide Hills, the city is now a testament to fashion, trends and forward thinking. Full of beautiful people, just like the Hills. 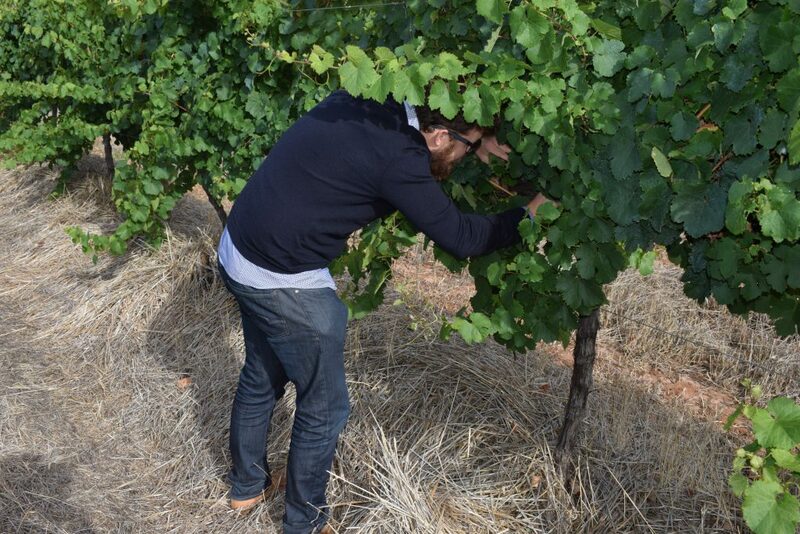 Sam Barry is examining the berries in his clos Clare vineyard. It is a few weeks before vintage and everything is looking good. Last week they had four consecutive days of over 40 degrees which had cleared away any potential for botrytis – thankfully, it looks like they not be suffering like they did in 2011. We make our way up and down the vines. They grapes are still tight. I am struck by the vegetation around the vines; there is vigorous growth and extensive canopies. 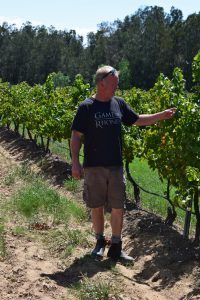 Sam tells me that there is a different management regime between those vines which face south (he doesn’t like any bunches to be exposed to the sun) and those which face north (he is quite happy for those bunches to see the sun). 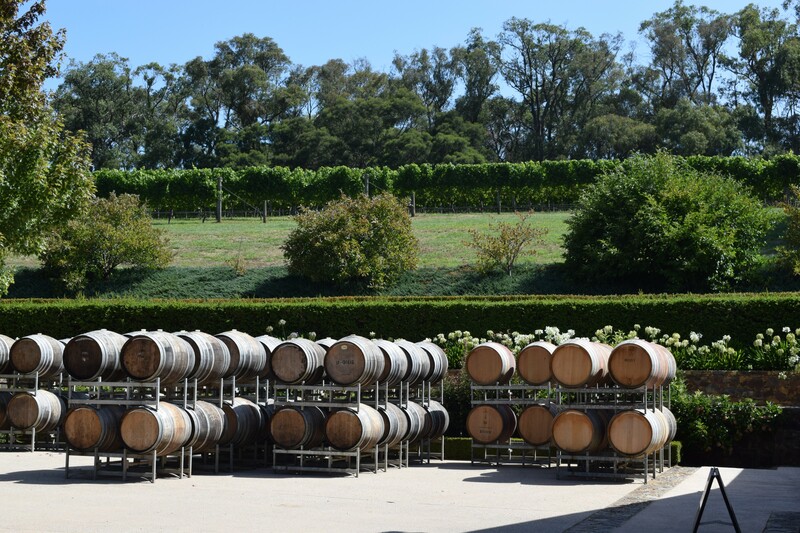 This 30-hectare Florita site is one of the most historic and famous vineyards in all of Australia. 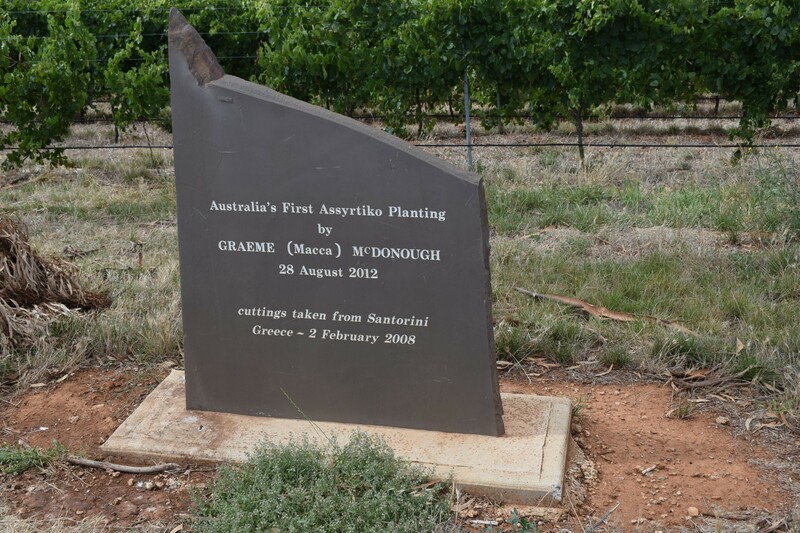 It was here that the legendary Leo Buring first planted riesling. When Buring died in 1961 it passed through a number of hands, before it was purchased by Jim Barry in 1986. The vineyard was planted entirely with riesling – at a time when you couldn’t give riesling away. Jim Barry must have been a perceptive chap. But even then, to make things pay, the Barry family had to asset-strip the vineyard and sell off chunks of it. With the renaissance of Riesling changing their fortunes, however, they were able to buy the plots back bit by bit and, finally, in 2008, they bought the last plot of two hectares, and Jim’s son, Peter, now running the business, gave it to his son, Sam, to run as clos Clare. So how does it differ to the rest of the Jim Barry rieslings? Well, firstly, it is dry irrigated (able to be so because the clay soil in that part of the vineyard retain moisture better). This means that in very dry years the clos Clare wines tend to show better than the other Jim Barry rieslings. And Sam explains, he is looking for a particularly linear style of wine. The overriding principle is to keep the fruit cool. “After picking, it is immediately put into a cold room to settle” (later he shows me at the winery the “cold rooms” – which are simply shipping reefers: ingenious.) “The moment the fruit become warm, that is when you have oxidative issues. It is then whole bunch pressed. We don’t want any solids in the tank. We want very very clean juice. We don’t want any phenolics from the skins. We ferment cool and for a long time – to get a clean linear type of style. He has a very interesting theory when it comes to ageing. He thinks that riesling is excellent from bottling to two years, then it goes through a closed stage and then makes in a re-appearance at around eight to nine years, when it really shows its beautiful mature fruit. 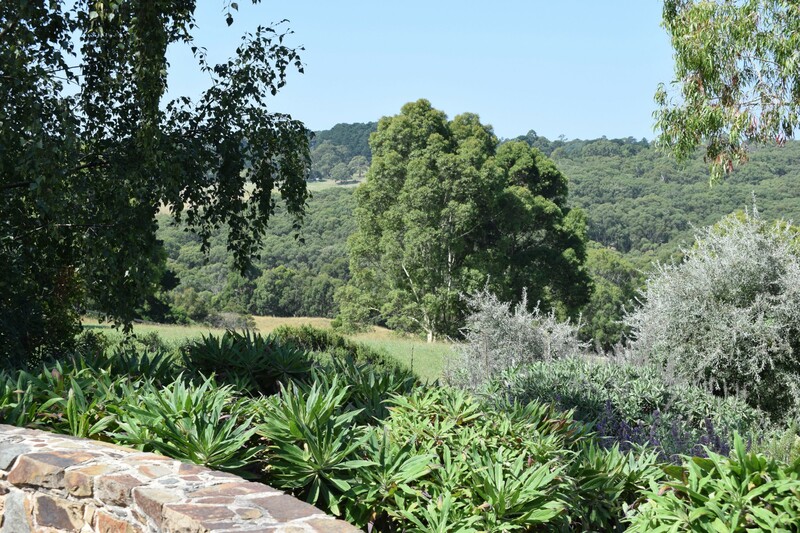 We walk up to the house, which is being refurbished into an attractive Cellar Door/Guest House, and Sam pours a glass of the 2016 clos Clare Riesling. Searing acidity (but not out of balance), penetrating lime and coconut flavours. Cool, very cool climate winemaking; wake-up-and-smell-the-roses wine. 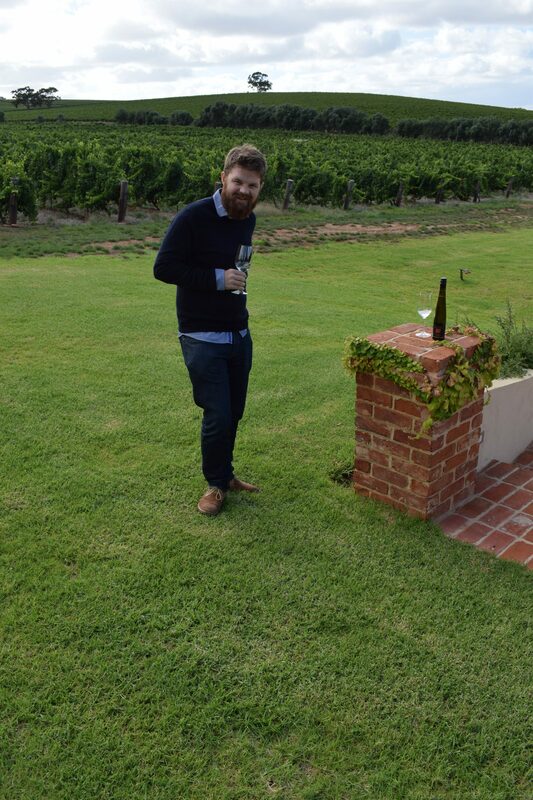 Following the tasting, Sam gives me far too much of his time to show me round the Clare Valley, driving me up to the far north, pointing out all of the family vineyards. A highlight is the sight of the newly planted assyrtiko on the edge of the Lodge Hill vineyard – which will delight Steve! We then drive to the Armagh vineyard. “There it is,” he says, pointing to a very unprepossessing vineyard. 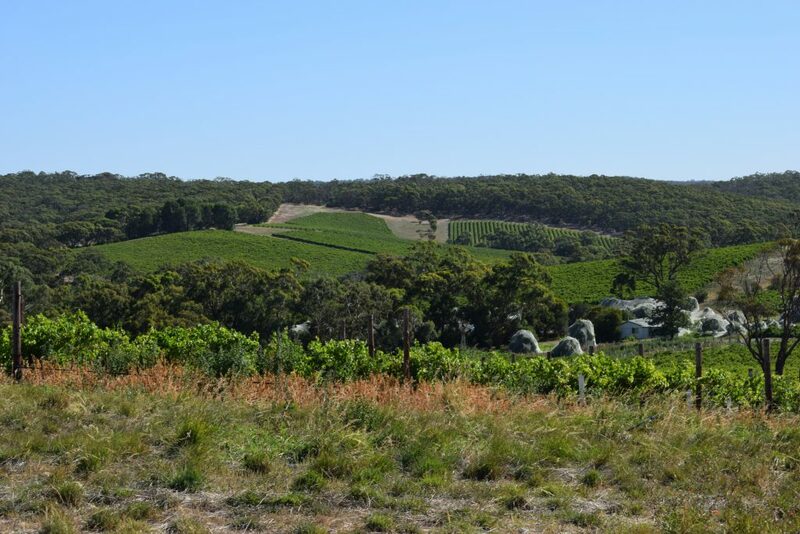 Considering that it must rank with Henschke’s Hill of Grace as one of the two greatest Australian vineyards, it is a bit incongruous and, well, lacking in drama. But what fruit! Sam points to an adjoining vineyard and tells me his is currently working this. 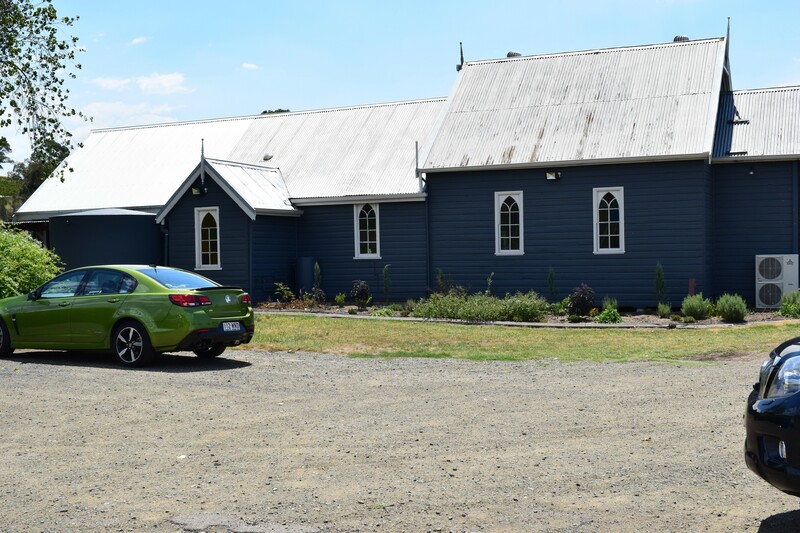 Later, reflecting on the visit as I drive down towards Angaston, I make a mental note to keep an eye on that wine! If I could start all over again and work as a winemaker, then this would be the sort of place in which I would choose to work. It’s just the right size, being housed in a converted stable, it adjoins the house, it smells and looks pristine clean and modern and there is absolutely no fear of seeing something scampering across the floor out of the corner of our eye. My wife would say: “How cute!” Oh, and when you step outside you have a view that God has created in very few places. Mike Aylward recognises his good fortune. He has inherited the business from his father Chris, who with his wife, Gail, started producing wine on the Mornington Peninsula in 1997. 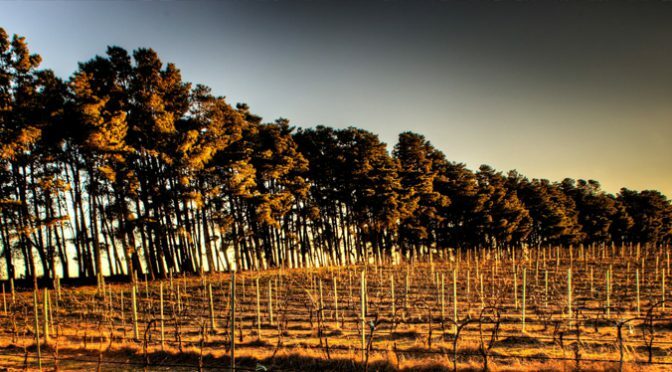 They developed Kooyong with a focus on top quality wine that suited the climate. Kooyong was sold in 2004 to the Gjerja Family, the owners of Port Philip Estate. 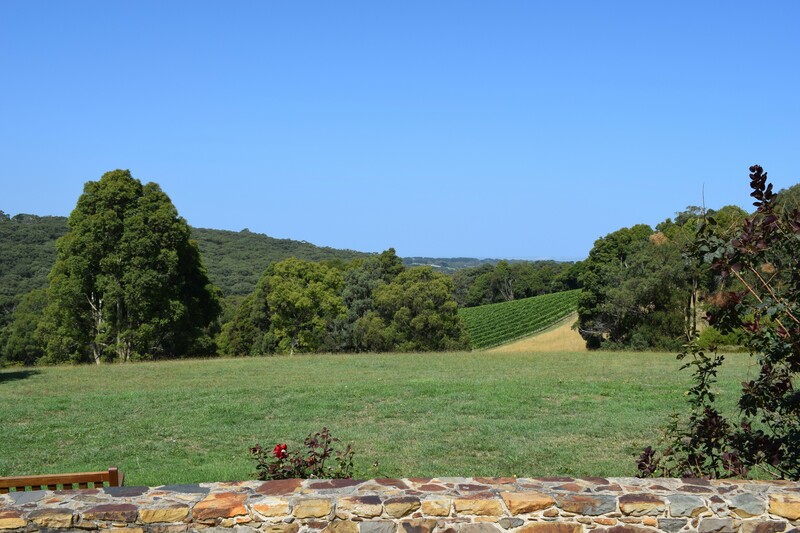 The Aylwards then developed a new set-up, creating a 27-acre vineyard and building the Ocean Eight winery, temperature-controlled and gravity-fed, into the hillside at the family’s property in Shoreham. While waiting for the first crops to be picked, Mike, their son, travelled extensively through Burgundy, Alsace and Champagne to look at styles. And so what started as a part time job to earn a few dollars during his university days has now turned into a committed obsession; in 2011 Mike won the highly coveted “Young Gun Of Wine” award. Pinot Gris 2016 – whole bunch picked and aged in old barrels, which Mike says is essential to develop the complexity this grape requires. Grapefruit and coconut. Very inviting combination. Hugely quaffable. You could sit at the bar and drink this all night long. Verve Chardonnay 2015 – never was a wine more aptly named. A wonderfully deft nose – intense grapefruit and galia melons, but so delicate that you almost have to hunt for the flavour. A teaser – where is it going? It is already very good but will get immeasurably better when the flesh opens out a wee bit. Haunting. When I put him on the spot in terms of contrasting with Burgundy, Mike shyly posits that he hopes this would be seen some way between a Chablis and a Chassagne-Montrachet. Pinot Noir 2015 – ravishing purple robe. Soft very intense red fruits (red pear especially) on the nose, followed by Morello cherry. Has a rasping newness to it, but there are enough tannins and acidity to ensure this will last for a long time. Mike says that 2015 and 2016 were really good and that 2017 has the potential to be very good. Pinot Noir 2016- this is very young and still developing, but has a lovely, spicy nose and spritzy fruits of the forest on the palate. Aylward Pinot Noir 2014 – wow, this is sappy, rich, juicy, big and completely different to the other pinot noirs. This will develop over a long period. Before I leave, Mike takes me on a tour of the gardens and the vegetable plots (they are almost self-sufficient.) Everything seems correct here. And in the wines, there is elegance and subtlety at work. There is not a single off-flavour or scent in any of the wines (which are often present when I visit Burgundy). They are definitely feminine in style and charming in delivery. You get the impression you would never be disappointed with a single bottle of these wines. Why would you drink anything else again? The light here is beautiful. The Peninsula shimmers in a late morning effervescence and the sea at Port Philip dances like a nymph. Oh to be a painter! Standing at Red Hill looking beyond Dromana, however, it is easy to forget that to get here requires a schlep through the urban concrete sprawl of Melbourne – and for a navigationally-challenged Geordie, negotiating my way from Flinders Street to the peninsula offered a few challenges. But – God! – it’s worth the trek. Turning back inland, I make my way down a steep hill towards Paringa Estate. The view from the winery and restaurant over the home vineyard and across the steep valley is blissful. 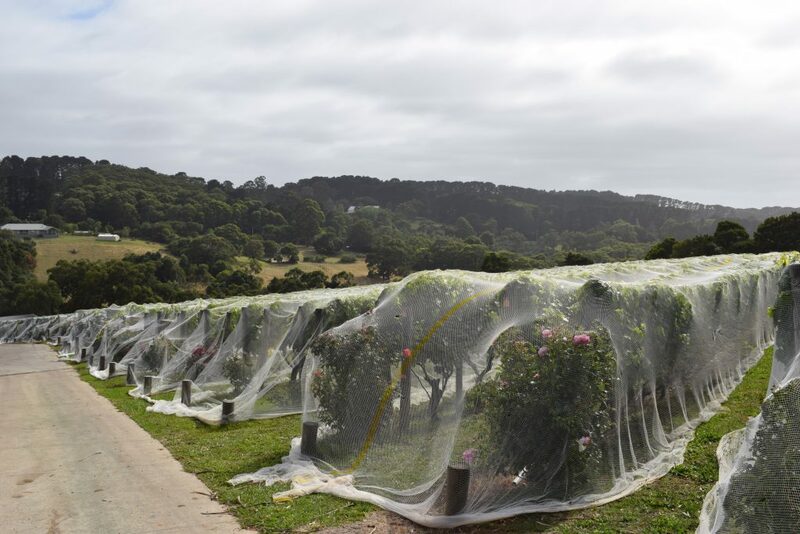 The vines now nestle under netting, put there the previous week to stop the resident geese population from feasting on the sugar-laden grapes, which will be picked in a few weeks. Lindsay McCall, an extraordinary man, recalls how he purchased this land in 1984 and spent five years planting it with vines, while holding down his day job as a teacher, in an attempt to get back to his roots, having been told by his dairy farming father that there was no future on the land and he should concentrate on getting a college degree. 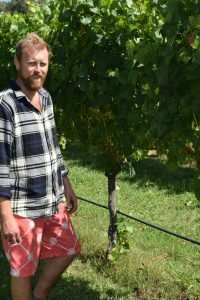 He also recalls being told by one eminent local winegrower that he should not bother planting Syrah – “It’ll never ripen…” Which is red rag to a bull to a man like Lindsay. He planted. The results speak for themselves. There is steel to this man. But he may have met his match in a very canny Scotsman, Hugh Robinson, a retired gynaecologist who emigrated to Australia in 1978 and who gave up trying to make wine some years ago to concentrate on growing the best possible grapes. A lot of his fruit previously went to a multinational wine company, but now Lindsay gets his hands on most of it. However, not only is Hugh a wonderful tender of his vines, but he would also seem to be a canny negotiator, judging from his conversation with Lindsay when I am there. “Well, he is a Scot,” says Lindsay ruefully. Aside from one tiny neighbour, Hugh’s grapes are the only ones that Lindsay will buy; the rest of his grapes are either owned or leased by him. 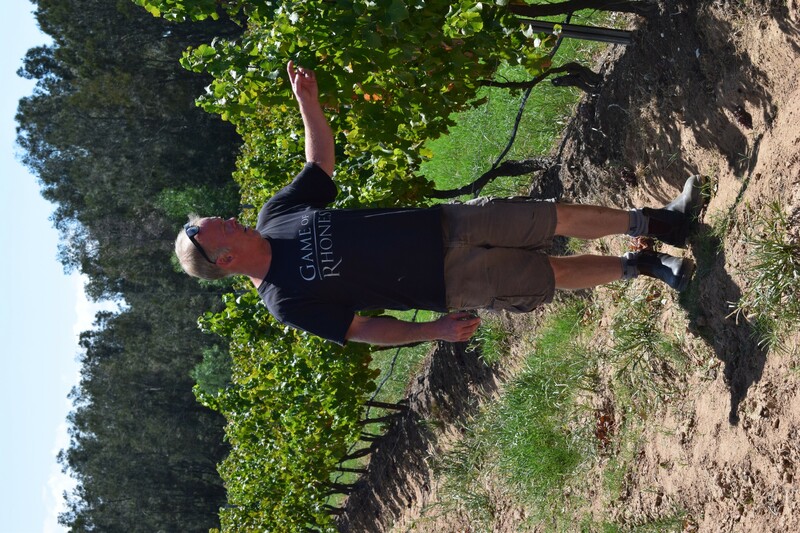 He explains that not only are Hugh’s grapes of excellent quality, but because they are on the valley floor and on silt soil, they provide a beautiful contrast to Lindsay’s own grapes, grown at altitude on steep slopes of red calcareous soil. They make quite a combination, this pair; the c Marsh – b Lillee of the wine world. Burgundy is what we are aiming at here; Lindsay is a great admirer and models his single vineyard and estate wines on the great Burgundy styles, though he feels his Peninsula wines are more New World in style. Oak barrels come from France, although Lindsay has also purchased three large foudres. 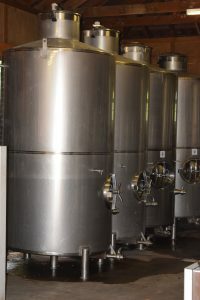 These allow the newly fermented wine a much longer cooling down period after the end of the primary ferment, thus offering more concentrated fruit. “I’m looking for complexity,” says Lindsay. It is easy to tease out of him stories of his travels in Burgundy and the northern Rhone. He must be like a kid in a sweet shop when he goes there. 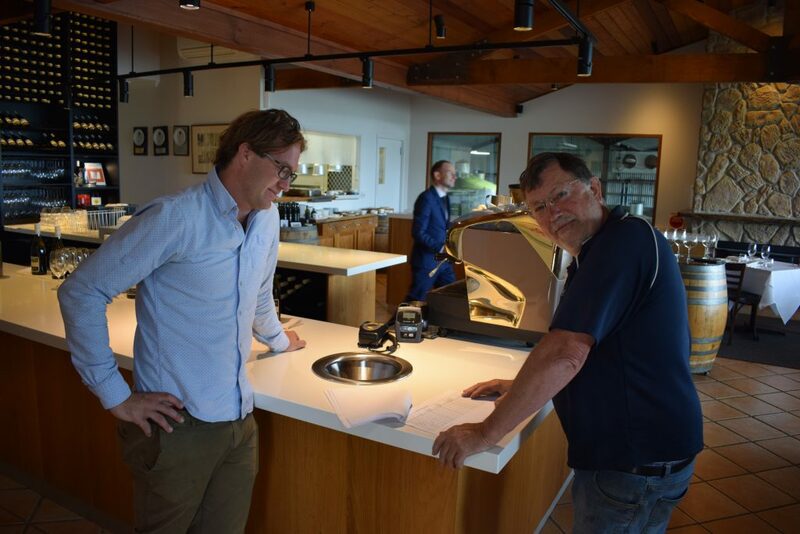 Nick Justice, Lindsay’s sales and marketing man, shows me round the winery, which is nicely haphazard; the steel fermenting vats, awaiting cleaning before the vintage, straining at the leash, sit outside the back wall of the winery. We move onto the chardonnays. The 2016 Peninsula was made from whole bunch pressed grapes, fermented in barrel and did not undergo malo. This is absolutely beautiful, complex, rich and yet elegant. The Estate 2015 is complex and racy at the same time, which takes some doing. The single vineyard is very Burgundian in style, with distinct anise and liquorice flavours. Licking my lips, I move over to the pinots. The 2016 Peninsula was bottled yesterday – it doesn’t get any fresher than this. It is showing fabulous fresh acidity and bright cherry fruit and is racy and vital. How jammy am I to be tasting this! The Estate 2011 is a novelty; the vintage was written off by “experts” but Lindsay finds that Cellar Door customers love this wine. It is easy to see why; it has a big complex nose, herby and medicinal, earthy, very structured like a reasonably aged Burgundy. The 2013 version has a delicious nose, wild raspberries and a touch meaty. The single vineyard from the same vintage has an earthy plummy nose and wonderful layered texture on the palate. It is a very serious wine. We move on to the shiraz wines. The 2015 Peninsula is delicious – perfumed with strong liquorice and stone fruit. Once again I am struck by the thought that all the Peninsula wines punch way way way above their weight. The Estate is a step up, more complex, more structure, but with the same gorgeous garrigue type fruit. The single vineyard, which comes from the bottom of the three home plots of shiraz, has wonderful firm tannins, and lasts a lifetime in the mouth. 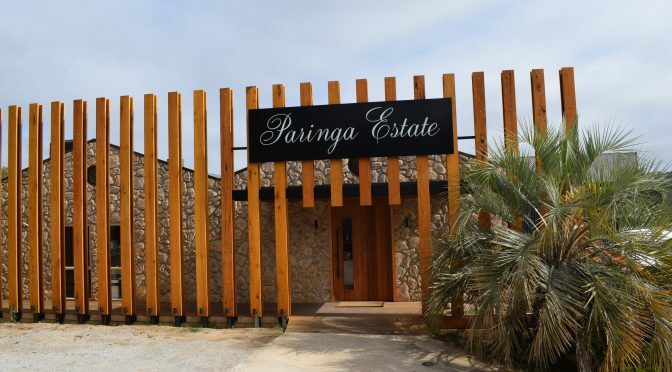 Halliday reckons Paringa has a very definite resemblance to the northern Rhone. We have a stunning lunch in the award winning restaurant which offers a view over the winery and allows us to watch Lindsay’s son Jamie clamber up and down barrels as he prepares for the vintage. During a lunch of snapper and venison I sip a single vineyard Pinot Noir 2007. It has a mature colour, and an intense raspberry and dark forest fruit nose, and is absolutely perfect with the venison. The restaurant has one Chef Hat. The Australian equivalent of a Michelin star, and is easy to see why. They seek perfection in here, as they do with everything at Paringa Estate. But when it come to the wines, they may already have found it. Yesterday, on my way down from Murrumbateman to Melbourne I pulled off at the exit for the Strathbogie Ranges and found myself cautiously winding my way up a dirt road, before I came upon Callie Jemmeson and Nina Stocker, whose brands Pacha Mama and White Stripes are made here. We had a brief tasting at an outside picnic table, accompanied by prosciutto, cheese, wonderful bread and fruit. I looked around at the alpine-type scenery – we seemed to be miles from anywhere! – and at the two beautiful winemakers who were making me feel so at home and whose wines tasted so good, and I thought: this must be a candidate for my nicest wine tasting ever! The winery which they lease stands pristine and empty, the tanks just cleaned and waiting for the grapes. “Any day now,” says Nina. They source from a wide range of Victorian vineyards. Callie told me that during one trip earlier this year she covered 800 kilometres visiting their growers, which makes me moaning about my trip look pretty pathetic. Their partner is Callie’s father, Dave Jemmeson, who helped launched Friarwood and Mitchelton. Serious pedigree here, then. A Pacha Mama Riesling from the 2016 vintage is so ripe that I ask about residual sugar but Nina says there is hardly any. It is a serious wine, beautifully open in the glass and full of just-crushed citrus fruit. A White Stripes Pinot Grigio 2016, sourced from the King Valley, shows lovely ripe appley fruit. Another wine – The Dagger – uses the same source but with different yeasts – and has an underworld funkiness to it. The best wine is a Pacha Mama Yarra Valley (Upper Yarra and Coldstream) Chardonnay 2015 which has a lovely soft lime-and-butter nose, quite elegant. The 2015 Pinot Noir from the same region, using six different clones, has a vibrant cherry Tunes nose, is medium-bodied and ready for early drinking. Very moreish. The Pacha Mama 2015 Shiraz from Heathcote has open, vibrant fruit with just a touch of (attractive) rusticity. There’s complexity at work here, but also very attractive gluggable fruit which a brilliant combination. Would go great with food. Finally, the White Stripes Synergy from the 2015 vintage is probably the most interesting wine, as it is one of the few Sangioveses I will taste on my trip. It is still youthful, generous, with gregarious fruit and a purple texture, and dark cherry flavours in the mouth. Softly scented, curious and diverting, this is an attractive and interesting wine. Unfortunately I have to dash as I am late and I feel a bit guilty at letting Nina and Callie haul all the picnic gear back indoors. They do not seem to mind at all. There is a fierceness of determination at work here and I think they are at the beginning of a journey that will take them far. I will keep in touch regarding importing their wines. I was sad to leave the Hunter Valley as it felt very much like home (minus the heat!) 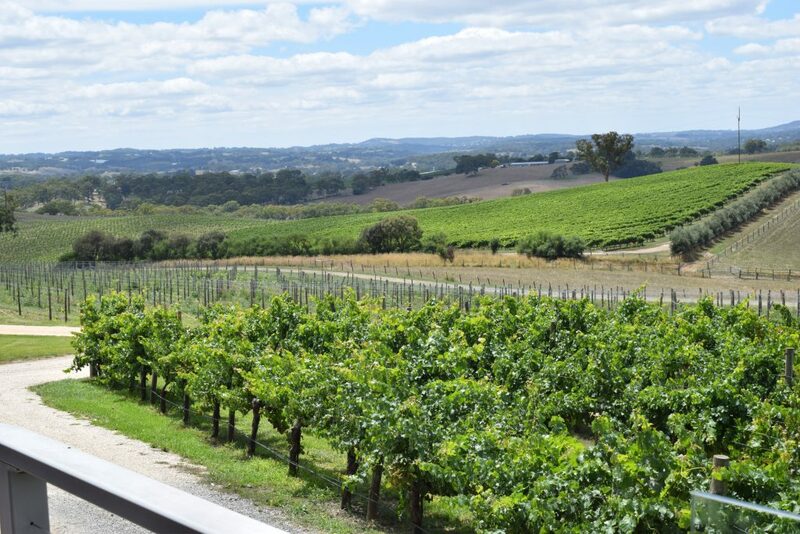 but by the time I’d reached the Eden Road winery at Murrumbateman I was thinking that if God ever created heaven on earth, then this is what it would look like. The scenery reminded me very much of Scotland’s Border Country with wide open-sky vistas, rock-sprinkled pastures, softly sloping hills and distant pine forests. The temperature had a beautiful and clean feel to it, too. Mind you, compared to the 47 degree heat in Griffith and the Hunter Valley, the 34 degrees registered here was a bit wimpish for toughs like me. Hardly worth getting out of bed for. Once more I was reminded of how important diurnal swings are in good winemaking country as we had to wear thick sweaters against the cold. The following morning, a wander through the vineyards (with kangaroos and resident Egyptian Arabian stallion Belbowrie Ebony “Ebby” – (Drinker of the Wind) looking on from the adjoining paddocks was followed by a tour of the vineyards. 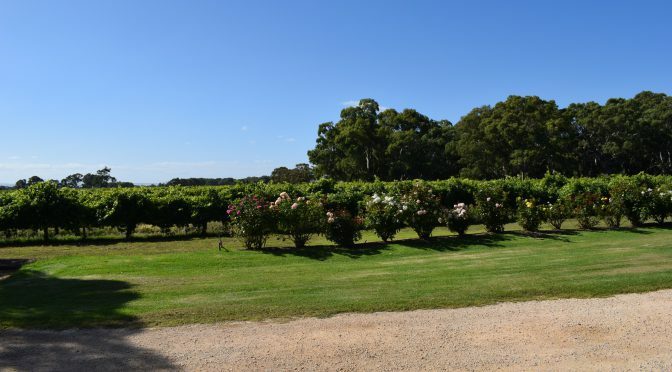 The Eden Road vineyard was planted in 1973, when scientists began to realise that these rich soils – some of the oldest in the world – and the high cold climate offered excellent conditions for vine-growing. Clonakilla adjoins the Eden Road site. Then we cracked on with an extensive tasting with winemaker Nick Spencer. We started off with the 2016 Canberra Riesling, which has an exquisite lime and ice water feel to it. 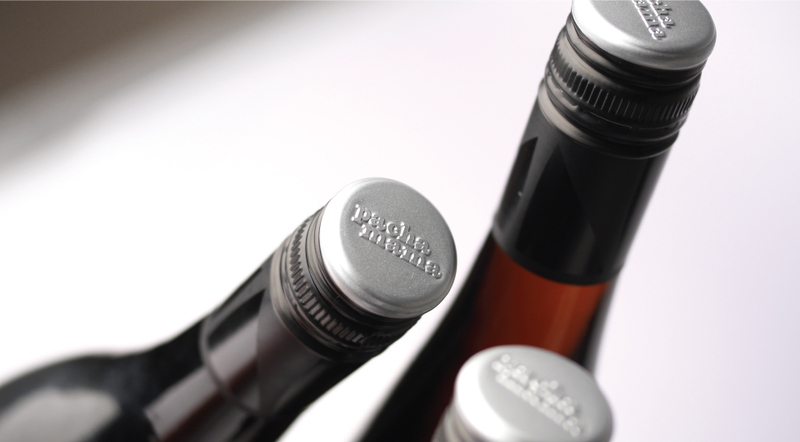 The tiny amount – one to two percent – of Gewurztraminer is definitely detectable. Nick said that a few years ago they struggled to sell Riesling, but now it sells out almost immediately. I can see why. “You need great aromatics for Riesling, so we de-stem and then the juice sits for eight weeks in the stainless steel tank, not fermenting, just soaking. Then an indigenous yeast ferment gives a slightly funky nose.” This is a lovely wine, which Nick says was inspired by the wines of the great Mosel winegrower JJ Prum. The Long Road Pinot Gris, fermented on skins, has caused some comments back home with its pale rose colour. Nick says that when they changed from a dark Burgundy bottle to a clear Bordeaux bottle sales jumped overnight. The 2016 has a delicious apricot and marmalade nose. Nick comments: “This wine is all about texture and mouthfeel.” Following on from this, we look at a wine called the Skinny Flat White, whose funky label has caught my eye. This is a blend of Riesling, Sauvignon Blanc, Chardonnay, Pinot Gris and Viognier (what I line-up!) I’ve never seen this wine before. Nick explains that the concept of skin contact was highlighted to him when he made wines in Georgia some years ago (an occasionally hair-raising experience, as one of his jobs was to select grapes from all the nearby vineyards, which necessitated bargaining with the local henchman, who would often be armed with a couple of Kalashnikovs and was not of a mind to take no for an answer). The main difference between these two wines is that the Pinot Grigio is 10% fermented on skins, with the other 90% being pressed and then blended back in. In the Skinny Flat White everything is given skin contact, with the result that you get an astoundingly aromatic nose and a very textural mouthfeel. I will see if I can get hold of some of this. The Long Road Pinot Noir 2016 has beautiful pristine clean fruit. The Courabyra Pinot Noir 2015 is funky and chunky, with a touch of game and forest fruits. Very long lasting. Nick lets slip that they are struggling to keep up with demand for Pinot Noir and Pinot Gris. We then move on to the Gundagai Cabernet Sauvignon from the 2015 vintage. 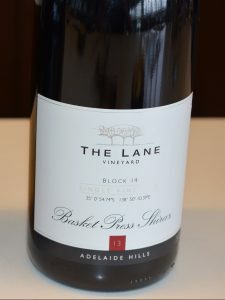 I’ve always been epecially fond of Gundagai because it would be a great name for a race horse (“It’s Gundagai at the furlong pole – and you need a telescope to see the rest!…”) This has big generous flavours, complexity, and seems different – slightly out of place – against all of the other wines. Good food wine. serious fruit, good firm tannins and with a grippy feel. This has been a fabulous tasting. Beautiful winemaking; beautiful wines. Nick apologies for taking up so much of my time. He has to be kidding – I could have happily stayed there all day. 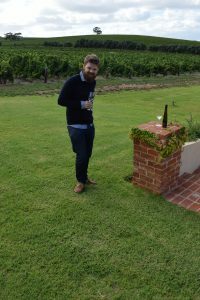 Andrew Thomas concentrates on what he considers the Hunter Valley does best: semillon and shiraz. 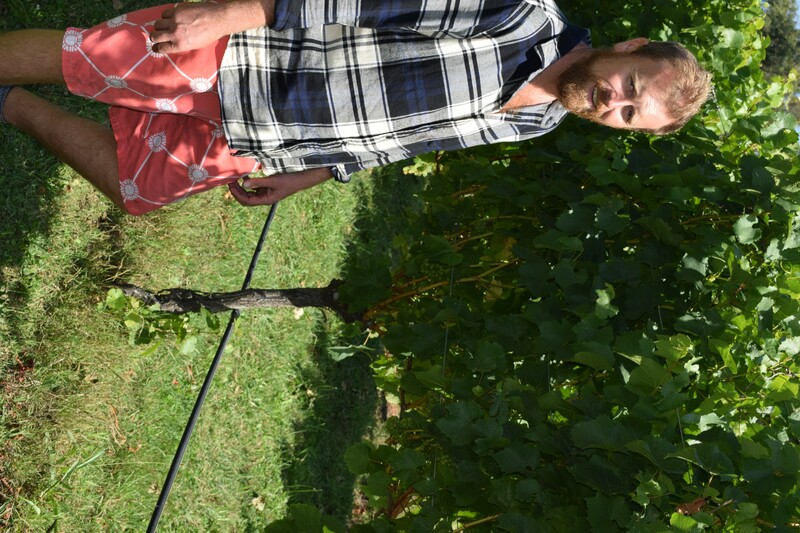 For these two grapes, he acts as a Hunter Valley evangelist. And with 13 years under his belt as winemaker at Tyrrell’s, before setting up his own business in 1997 – and being twice named Hunter Valley Winemaker of the Year – he definitely speaks from experience. He is helped by the fact that he has a long-term agreement giving him access to the great Braemore vineyard, a brilliantly sited plot half way along the Hermitage road whose deep sandy alluvial soil is “the best type of soil for semillon in the Hunter Valley.” He picks up a handful and crumbles it, savouring the intensity. We quickly stop in at the old James Estate winery (he has very kindly agreed to interrupt the vintage to see me – we do not import his wine and it was a late appointment – and he desperately needs to keep an eye on the new grapes) where he has worked since 2009, making 10,000 cases per year, 60% of this being his and 40% being contracted. A quick tasting (those new grapes won’t wait!) perfectly illustrates his way with semillon. The Synergy Semillon 2016 (not yet released), which is a blend from different vineyards, shows a beautiful clean nose, cut grass aromas, and great acidity on the finish. The Six Degrees Semillon 2016 is made in the kabinett style, and has inviting, open fruit and an elevated feel to it. It has 35 degrees of residual sugar but you would never have guessed, the balance being so correct. We then move on the semillons from the Broke-Fordwich and Murphy’s vineyards. The Broke-Fordwich, from red volcanic soil, has ravishing enticing fruit and a beautiful intense jaffa perfume. The Murphy’s, from deep, coarse sandy soil, feels bigger, more floral, open and round. The Braemore Semillon 2016 is almost too rich to describe and almost too intense to hold in the mouth. It has searing brilliance and intensity, an array of citrus and cream flavours, and stays in the mouth forever. Every year Andrew puts aside 250 cases of the Braemore and releases it six years later. The 2010 has a fabulous, yet elusive, nose. You could be walking through an orchard in Seville, with a pot of the richest Devon cream under your nose. And then you could imagine putting a huge dollop of the orange and the cream on hot toast, but then just when you think the toast would overpower the orange, someone puts another dollop on. Complex and gorgeous. Breathless, I turn to the reds. 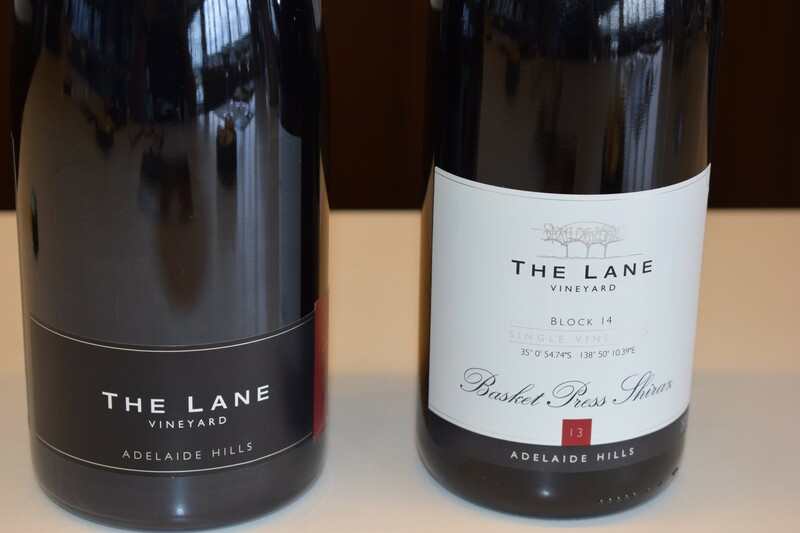 Here, Andrew has a (rather nice) problem in that he has sold virtually all his 2014 stock (which he regards as the best Hunter Valley vintage since 1965). “We really need to think about what kind of Shiraz the Hunter Valley should produce,” he states. “In the late 90s, everyone became “Parkerised” and started to produce monster powerhouses. That’s okay if you’re in the Barossa, but the Hunter Valley simply cannot produce those ink busters. We ended up picking fruit which was overripe and then loading it with oak and you simply couldn’t drink them with food. Thankfully, things now appear to have settled down and now winemakers appear to accept that there is a very definite Hunter Valley style and that longevity has nothing to do with weight and power and more about balance.” You can’t stop him once he gets started and his views echo those of Usher Tinkler, whom I met the day before. I taste the Synergy Shiraz 2014 , which has a soft creamy nose, good weight of red stone fruit on the palate. The only other red available is the Déjà Vu Shiraz 2014, which comes from a plot of land right next door to Braemore and which is made more in the traditional Hunter Valley Burgundy style. It has a lovely and intense nose, a touch gamey and garriguey. I can only wonder how great the other red wines must be. 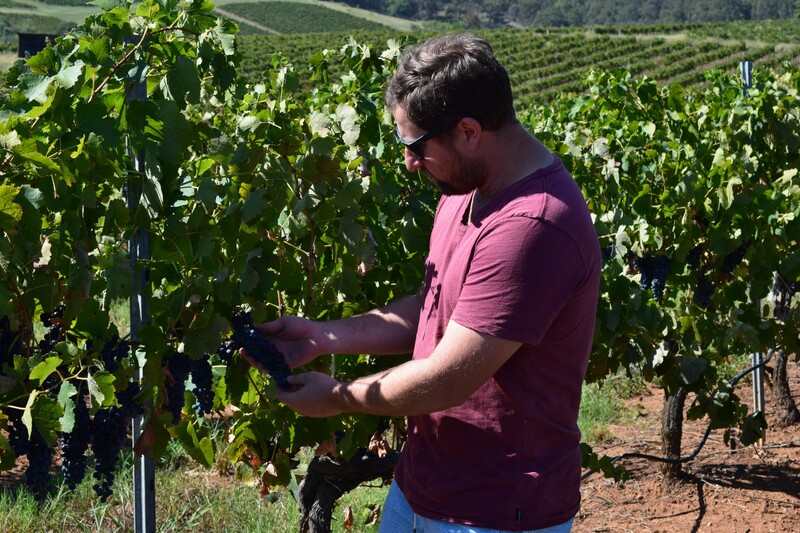 Usher Tinkler, winemaker at family owned Hunter Valley winery, Tinklers (a producer we are looking very closely at! ), makes no bones about it. 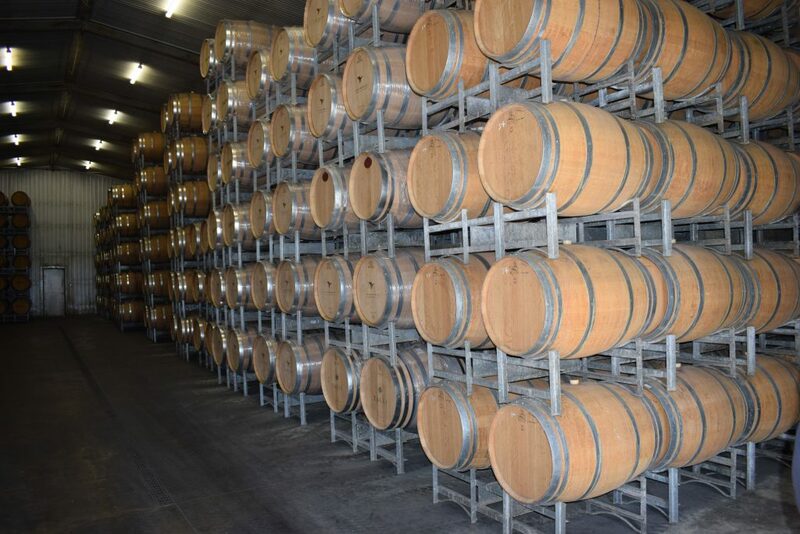 We are standing in his tiny winery as we taste from barrel and I let Usher – some years my junior – clamber precariously between his barrel racks to fetch me the golden liquid of which he is an unabashed adorer. Usher is a third generation Hunter Valley winemaker, a descendent from Ireland (hence the name), who now makes the 7,000 case family brand under the Tinkler label and his own wines under the 2,000 case Usher Tinkler award-winning label. As well as this, he travels to Burgundy every year to make wine (essential experience, he says); to call him dynamic wouldn’t be the half of it. Usher is not currently on the Hallgarten list, but he is exactly the kind of winemaker I love to talk to when visiting wine regions. I must have a chat with the rest of the team when I return home, I think, as we jump into Usher’s pick-up and he gives me a quick tour of the vineyards. 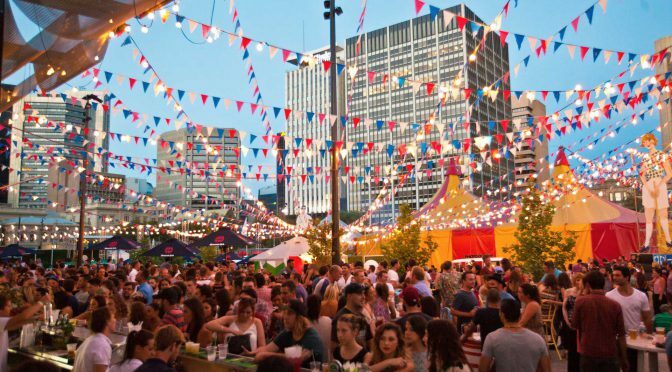 Like Constantia and Napa, this is tourism wine country, with Sydney’s thirsty market right on its doorstep. Today there is frisson of excitement in the valley because James Taylor is playing on the Green, following in the recent footsteps of Simple Minds and Bruce Springsteen. I arrived late yesterday, the journey from Griffith to the Hunter Valley having taken seven hours and offering a fascinating glimpse of the changing landscape. Whenever I am abroad I always try and compare the scenery with the UK. For the first two hours out of Griffith, during which time I hardly saw another car, you couldn’t possibly have placed this scene in England, the land was so scorched and flat. But here in the Hunter, you could almost be in Surrey. 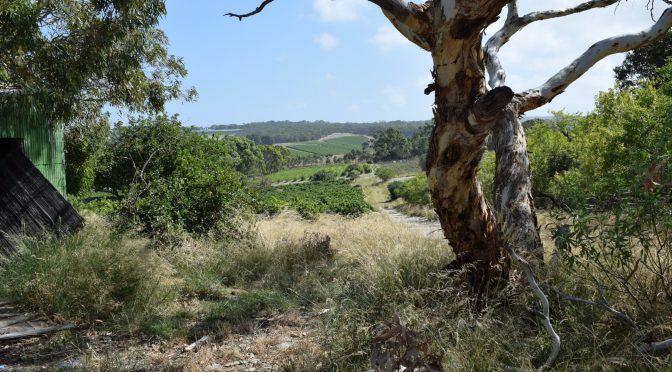 Usher takes me into his priceless Shiraz and Semillon vineyards, whose grapes once went into the legendary Mount Pleasant Phillip and Elizabeth wines. This jolts me a bit and takes me back 20-odd years to when I was a buyer for Unwins and pleaded in vain for the UK distributor to give me a few precious cases. My admiration for Usher and his operation increases even further when he takes me into his cellar door outlet, housed in a converted church. It is cool and urbane and the Rolling Stones are playing over the speakers. It is the first time I have done a tasting with the Stones backing me. Tinkler School Block Semillon 2015 Restrained, elegant, beautiful mouthfeel. Tinkler Reserve Semillon 2015 Young orange peel nose, still needs a bit of time. Usher Tinkler Reserve Verdelho 2016 Delicious open attractive fruit, a hint of residual sugar. Usher Tinkler Nose To Tail The Chicken Semillon Chardonnay 2015 Italian-style nose, peach, lime and lemon and a touch of that semi-oxidative character you sometimes get in good whites. The bones are the semillon and the flesh is the chardonnay. Tinkler Poppy’s Chardonnay 2016 Creamy nose, classic charddy, good weight and body. Usher Tinkler Reserve Chardonnay 2016 Chablis type, great texture and mouthfeel. We cleanse the palates and then crack on with the reds. The room is filling up with day-trippers enjoying the delicious salumi and wine partnerships that Usher and his stunning wife, Ebony, lay on. The Stones are now into “Brown Sugar”; this is a brilliant atmosphere in which to taste wines. Usher Tinkler Nose To Tail The Pig Shiraz Merlot Rose 2016 Beautiful open inviting fruit. Tinkler Steep Hill Shiraz 2015 Excellent plummy fruit. Tinklers Old Vines Shiraz 2015 Made in the old Hunter Valley Burgundy style – lifted fruit, beautifully clean, and a touch of savoury character. Tinkler U & I Shiraz 2014 Rapacious young fruit. Tinkler U & I Shiraz 2015 Unctuous sweet and dynamic fruit. Usher Tinkler Reserve Shiraz 2015 Really expressive fruit, heady and alcoholic. Here we try the oddity, the Mr Ts Rare Batch Fortified Verdelho (with an average age of 15 years in oak). As Usher is pouring it, there is a lull in the background chatter and the music arouses my senses. “It’s Only Rock ‘N Roll (But I like it)” takes me back to high school, 1974. And just as Jagger hits the climactic “yes I da-oooh!” and Richards smashes down on the e Chord, at that very moment, the Verdelho, all nuttiness and herby aromas, hits my palate and I am transported and the music and the wine all come together and for a split second I am Jumpin’ Jack Flash. I’ll drink a glass of his fortified Verdelho to that! 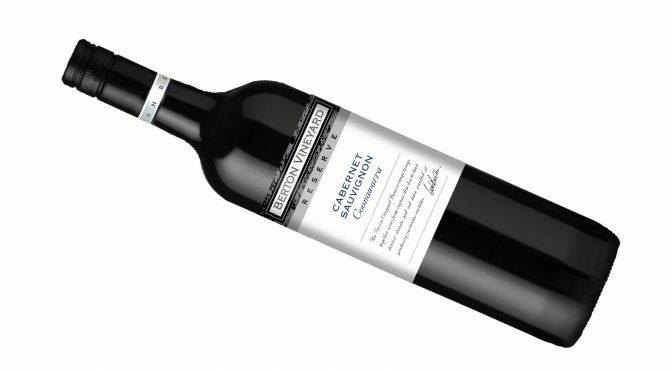 Intense, ripe black fruit aromas with hints of chocolate, eucalyptus and mint. 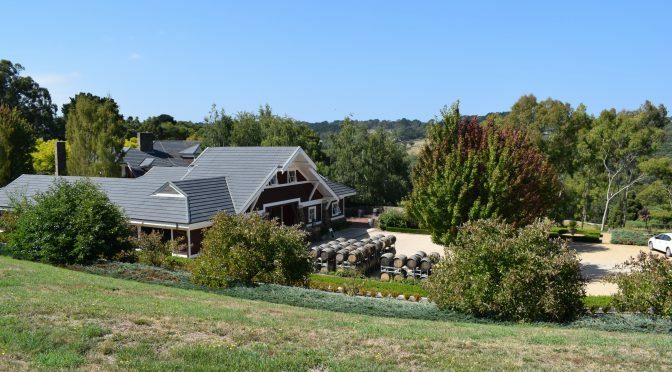 Established by Bob and Cherie Berton in May 1996 with 30 hectares of land at 450m above sea level on gently rolling hills in a sub-region of Eden Valley in South Australia, Berton Vineyard has been one of Hallgarten’s most important partners. The superb Reserve Shiraz and Reserve Chardonnay wines are still sourced from this plot. In 2007 Bob purchased the Yenda winery in the heart of the Riverina. 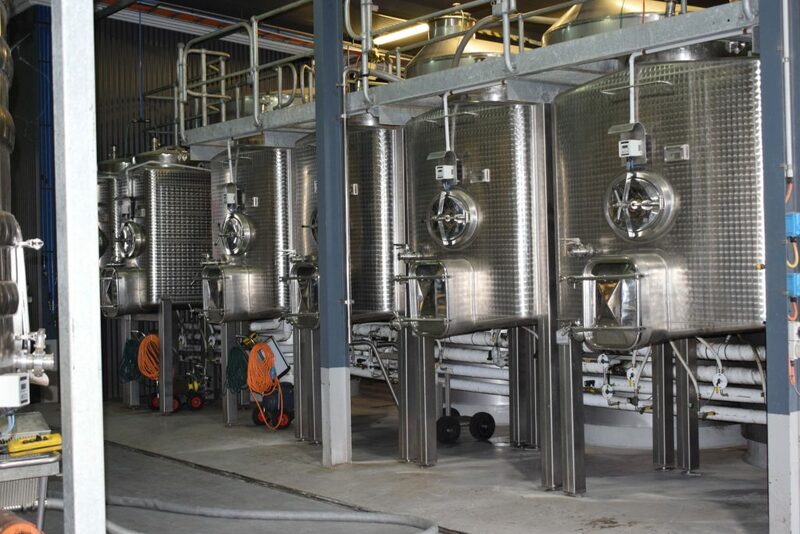 This state of the art facility has the capacity to process 20,000 tonnes, and allows Berton Vineyard to produce value for money wines which sit alongside their premium single vineyard offerings. 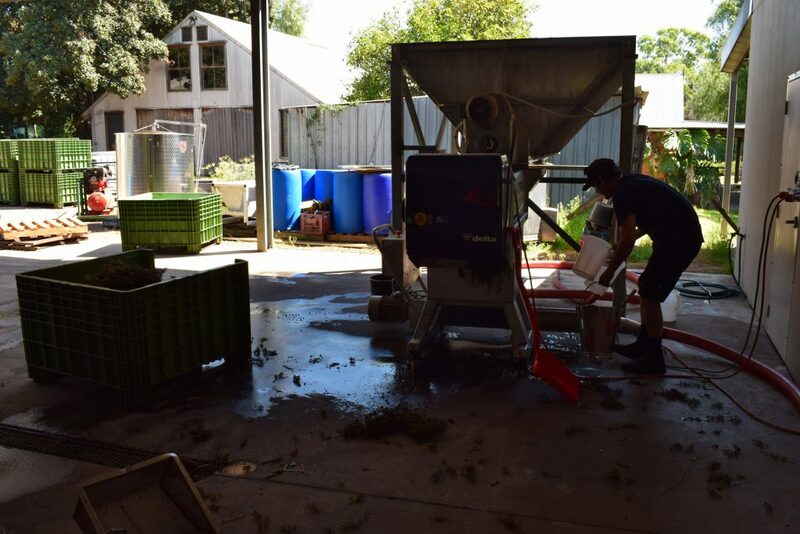 The grapes, that were picked in late April, were sourced from the prized Terra Rossa region of Coonawarra. Fermented in closed fermenters for 10 days between 25°C and 28°C, the wine was pumped over four times a day. It was then pressed off into stainless steel tanks where it completed its malolactic fermentation in the late autumn. 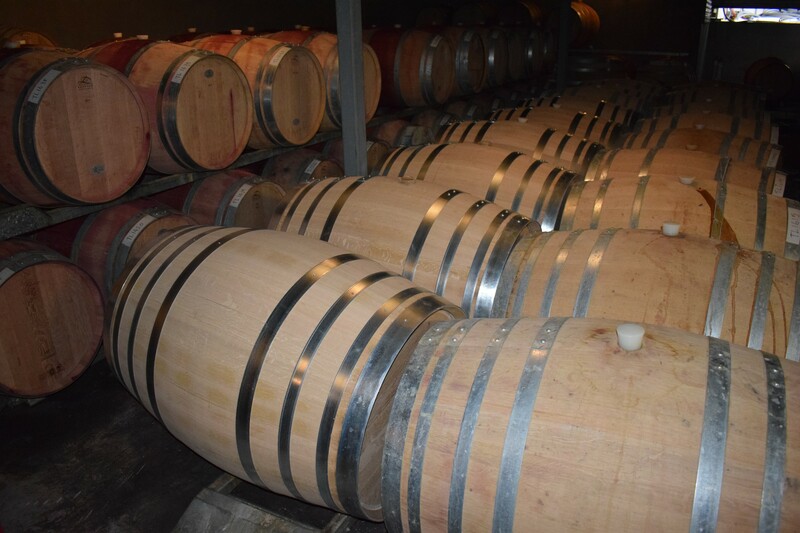 Following this, the wine was racked into French oak barrels with an equal spread of new, 1, 2 and 3 year old oak. The wine was aged fora year during which time it underwent a further racking. The palate is brimming with crushed blackcurrant fruit flavours enhanced by subtle eucalyptus and mint notes characteristic of this region and is beautifully complemented by elegant French oak notes. A great accompaniment to fillet steak or roast lamb and roasted vegetables.